1) Even the biggest of dreams remain the smallest of ideas without hard work. Even the smallest of dreams become the biggest of ideas with hard work. 2) You can lose even if you work hard but you can never win if you don't work hard. 3) Does hard work pay? Why don't you find out for yourself. 4) Don't boast about your intelligence because without hard work it is as good as a racehorse who never takes part in races. 5) The only substitute to hard work is smartness but to be smart you need to work hard. 6) The difference between being lazy and working hard is similar to the difference between expecting miracles and creating miracles. 7) The fruits of hard work are sweeter than the sweetest of nectars. 8) The only way to redeem your sins is an honest day's work for the rest of your life. 9) Let hard work and focus keep you on your toes, let laziness and lethargy be your foes. 10) Hard work is a hedge against bad luck and ill fate. 11) The biggest favor you can do to yourself is to work hard today so you can reap its benefits tomorrow. 12) If you don't believe the magical powers of hard work, try it. 13) Stop punishing your dreams and ambitions by flogging them with laziness. Rather give them the glimmer of hard work to make them see the light of day. 14) Don't be afraid of working hard. Experience is its only side effect. 15) Hard work is not a thing that you do. It is a way of life that you cultivate. 16) You can never be proud of rewards that are a result of luck or good fortune. But you can hold your head high and be proud of rewards that are a result of working hard. 17) The amount of hard work you put into achieving something is directly proportional to how bad you want it. 18) You can either look for inspiration and motivation in quotes about hard work or you can work hard to inspire and motivate others. What will you do? 19) The art of delegation is not a substitute for hard work because learning how to delegate effectively is hard work itself. 20) Dreaming big without working hard is as good as not dreaming at all. 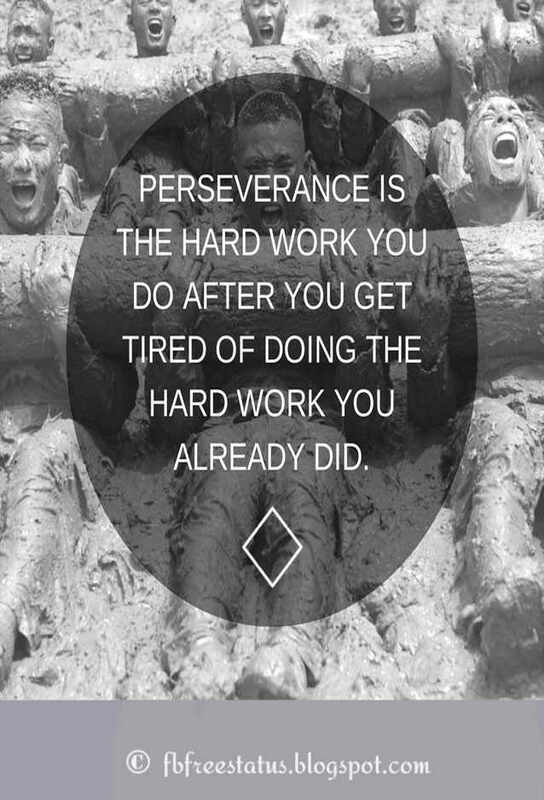 21) If your hard work is not paying off, maybe you are not working as hard as you should be. 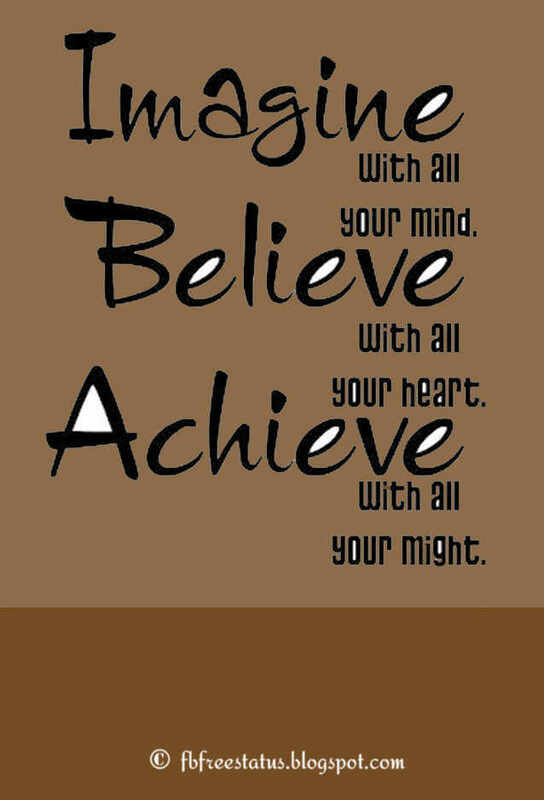 22) Nothing and nobody can stop you if you believe in yourself and work hard. 23) Hard work and laziness are exceptional examples of how opposites don't attract. 24) The funny thing about hard work – Everyone talks about it but only a few do it. Which one are you? 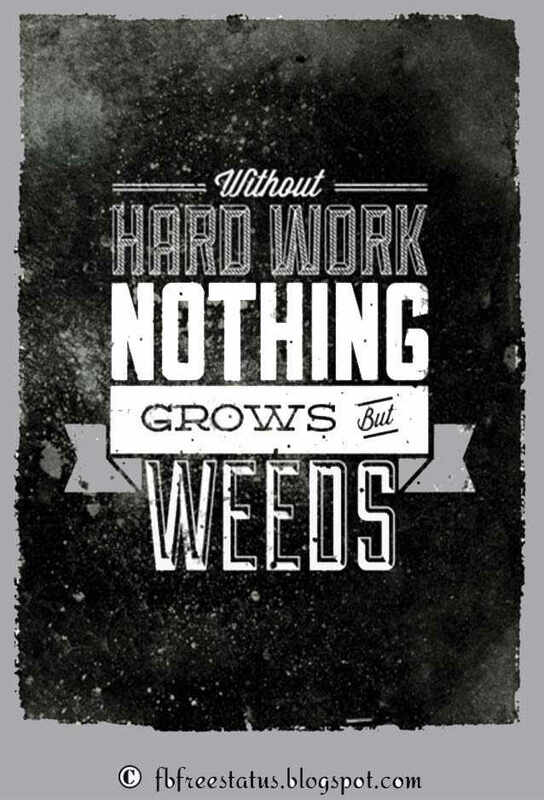 25) Hard work is never easy but the results are always worth the effort. 26) Hard work makes up for the lack of talent. The only way to beat people more talented than you is to work harder than they ever can. 27) Hard work, Humility and Honesty - the secret to living a happy and satisfied life. 28) Stop complaining about how you couldn't make it. Start thinking about how you can, and work hard at it. 29) Working hard today will allow you to work less tomorrow. 30) It is because of the sheer hard work of people who invented computers and smartphones that you are being able to read this quote. What contribution are you making to the lives of people around you? 31) Even beer tastes sweet after a day's hard work. Please Don’t forget to share Hard Work Quotes and Saying to your Friends and family member.